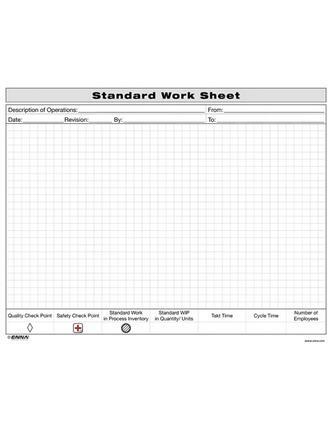 This form allows participants to present a precise description of each work activity specifying cycle time, Takt Time, the work sequence of specific tasks, and the minimum inventory of parts on hand needed to conduct the activity. All jobs are organized around human motion to create an efficient sequence without waste. Our form makes diagramming those motions a simple task.